Maybe you don’t lay awake at night dreaming about packaged grocery products, but we do. Packaged grocery may not seem that exciting to you, but we love it! Our team is tirelessly seeking out products for you that have unique ingredients, eliminate the use of artificial ingredients and GMOs, and have the power to positively impact our environment. Oryana’s strong focus on local, organic and unique products means we are very different than your conventional grocery store. You’ll still find your chips and cookies here, but also, so much more. Local: Many of Northern Michigan’s favorite brands got their start on our shelves. Our commitment to working directly with vendors and assisting them in promoting their products makes us a delicious breeding ground for innovative, locally grown grocery items. Any items in our store marked as ‘Local’ come from within a 100-mile radius of our front door, meaning you are guaranteed the freshest offerings with less miles traveled. Buying Guidelines: We are often asked how we choose what goes on our shelves…in response we hand them this boring, overly-detailed PDF that details our exacting standards for products. In short, we prioritize local, certified organic offerings above all else. When those criteria can’t be met, our team personally seeks out the cleanest alternatives. Rest assured that there isn’t a label on our shelves that we haven’t scoured. Gluten-Free, Dairy-Free, Vegan: We work to provide options for all dietary needs in every department. That’s why you won’t see a ‘gluten-free section’ in Oryana – because it’s everywhere! 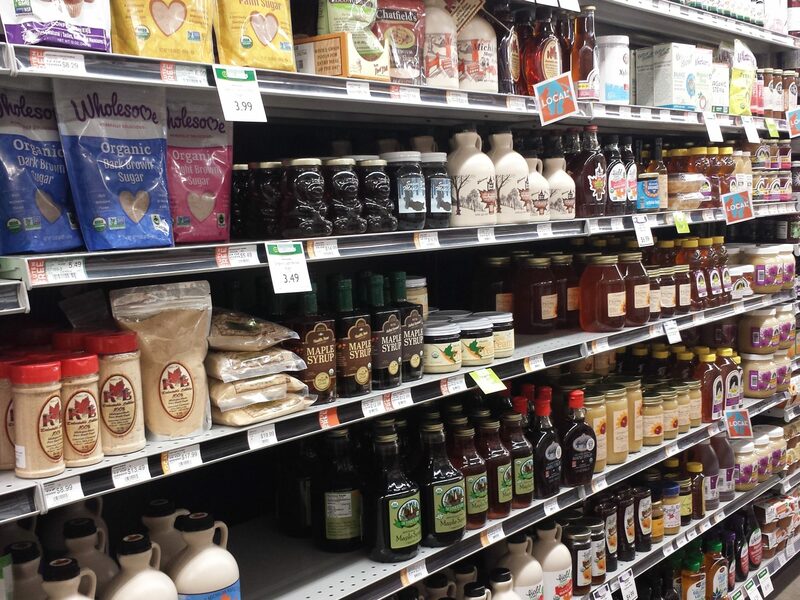 Our GF items are indicated on the shelf with orange tags that say gluten-free. For other allergies or preferences, product labeling should be a clear indication. If you have questions or are looking for a favorite product to meet your needs, just let our team know. Product Suggestions: Have a favorite product that you wish were on our shelves? Let us know! We get some of our best ideas from our shoppers. Fill out a product suggestion form in-store or email us! Bulk: Despite the name, bulk is a great place to save money while buying only what you need. We carry full lines of oats, rice, grains, nuts, granolas, spices, even peanut butters and oils that are package free and priced lower than their packaged counterparts. Fill one of our containers, or save by filling one of your own, with only the amount you need, eliminating waste and expense. Meat & Cheese: Our meat and cheese buyers work hard to ensure not only quality products, but humane practices as well. You’ll find a plethora of local and national products to choose from that meet our high standards. Beer & Wine: What pairs well with good food? Great wine and beer. Our wine and beer buyer selects the finest cases at the best prices for a boutique shopping experience within our store. Strong local offerings sit beside international award winners, covering the range from light IPAs to robust reds. Pet Products: They wouldn’t let us change our Mission statement to ‘high-quality food produced in ecologically sound ways at fair value for our pets and community animals,’ but we still offer that too. From everyday bowl food to sweet treats, we are the grocery store pets love. Home Products: Diapers, cleaning products, toilet paper – Oryana really can be your one-stop shop. Our Home Products follow the same rigorous buying practices as our food products, offering quality that you can feel good about purchasing. Baby: Oryana is a great place for growing families. We carry full lines of baby foods with wholesome ingredients you can trust along with diapers, wipes and other care items that all meet our standards. Think your product would be a great fit at Oryana? Read through our buying guidelines and, if you feel that you qualify, fill out this form and submit it. We’re excited to hear from you!